For any business firm, efficient customer service plays a crucial role in ensuring that the consumers are feeling confident of the products or services that are offered by the company. Without this, the customers will gradually lose their faith in the brand or what it has to offer and will tend to move towards using the products and services offered by the competing brands. One of the essential aspects of customer service is making sure that consumers can get in touch with the customer service executives of the company at any time that they want. While this can surely be achieved through inbound and outbound calls, another great way to accomplish the same results is by using a messaging client or app that can help in establishing easy communication between the different parties. The technologies used for creating in-app messaging applications have changed over the years to keep up with the other important technological changes as well as the new requirements of the companies that they are trying to serve. While at one point of time it was sufficient for a messaging app to be fit for the desktop platforms, now most of them are also required to provide with flawless performance on smartphones. This has certainly raised the bar of what can be expected from business messaging applications. In fact, developers of business messaging applications are now implementing a wide array of features on them so that they can perform a wide range of functions and be more interesting in the process. With more companies releasing their own versions and interpretations of what business messaging apps should be like, companies now have more options than ever before when it comes to choosing a messaging app for their own needs. 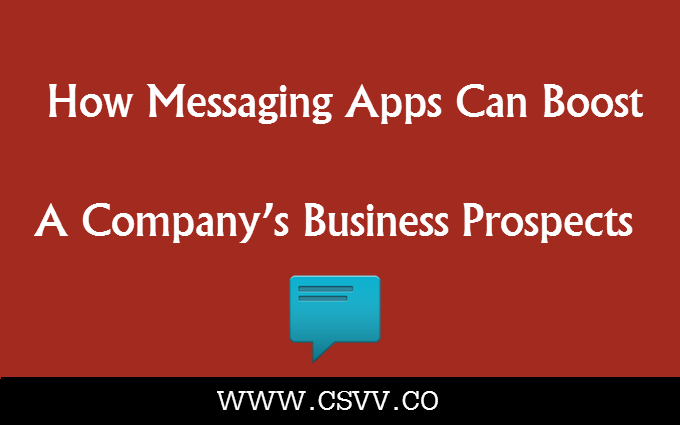 A high-end but easy-to-use messaging app can not only help companies to handle bulk conversations easily but also improve the firm’s market prospects immensely. It is also important from the perspective of a company to invest in a good quality messaging app that offers excellent performance. A messaging app that performs poorly only helps to undermine the company’s image in the minds of the end users. That being said, nowadays a business firm can easily choose a messaging application that offers a broad range of functionalities. For instance, messaging apps like these can help customer service executives to carry on short or long conversations and make sure that all of them are saved for being used later as a reference. This maintenance of chat history becomes essential as a company needs to attend to hundreds and thousands of customers on a daily basis. Apart from keeping such records of chat history, the messaging app can also help a company to learn more about consumer behavior and modify its marketing techniques so that it can appeal to a larger base of potential customers. Moreover, the app can be used for setting on-time tasks as well that can be carried out later on. These apps not only present users with the benefit of real-time chatting but also a host of other communicative features like SMS, emails and push notifications that allow companies to keep their end users posted for different kinds of updates. Whether a company needs to carry out a one-on-one conversation or a group conversation, these apps can offer a host of features that make such communication easy. It is therefore not surprise that most companies nowadays invest in messaging applications like these that allow them to carry out detailed conversations as and when they want. Ashly J is a Creative writer who focuses on small business solutions. She provides entrepreneurs with tools and processes to manage their sales and marketing. She writes extensively about in-App messaging techniques and Business tools.